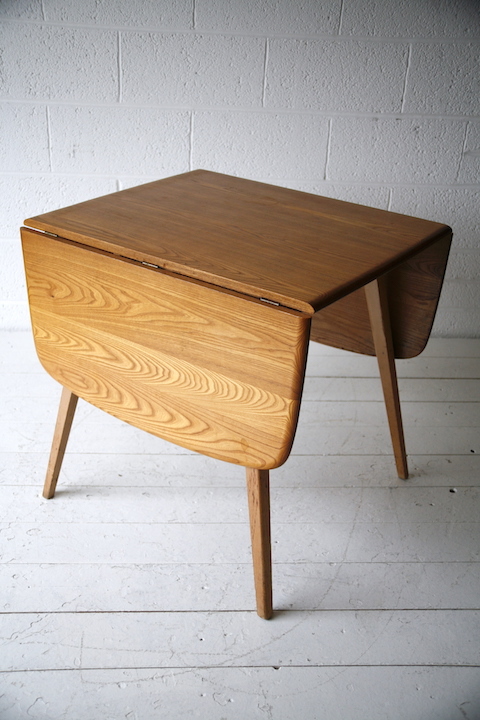 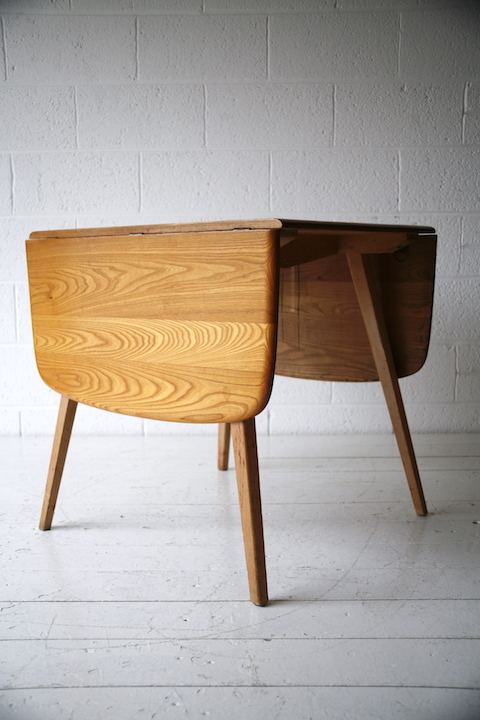 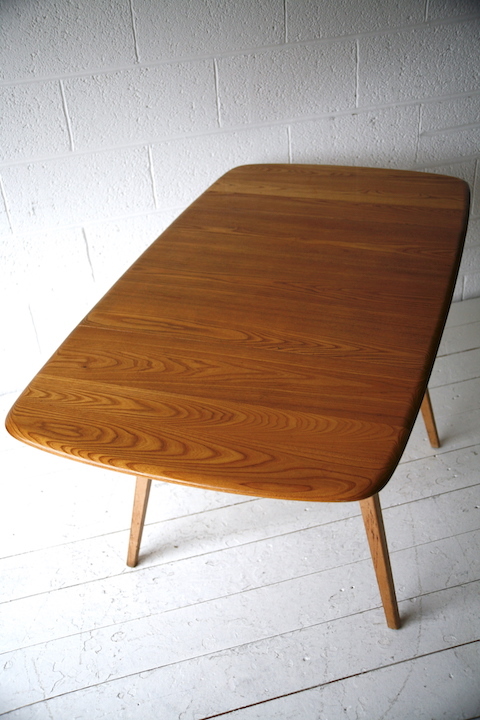 A 1960s drop-leaf dining table by Ercol. 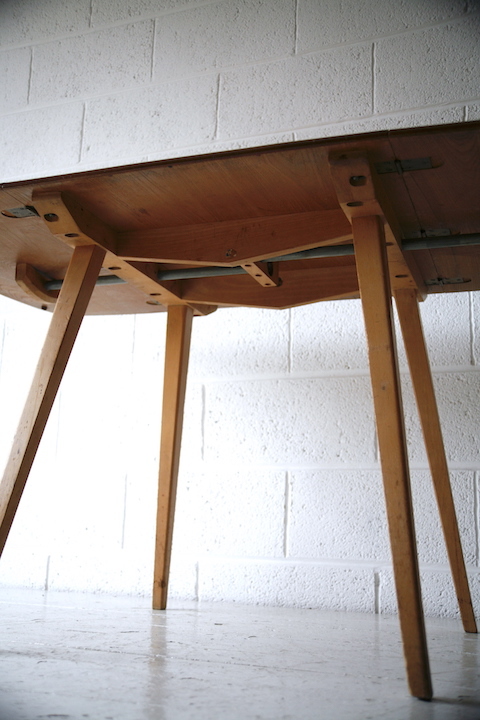 With beech legs and solid elm top. 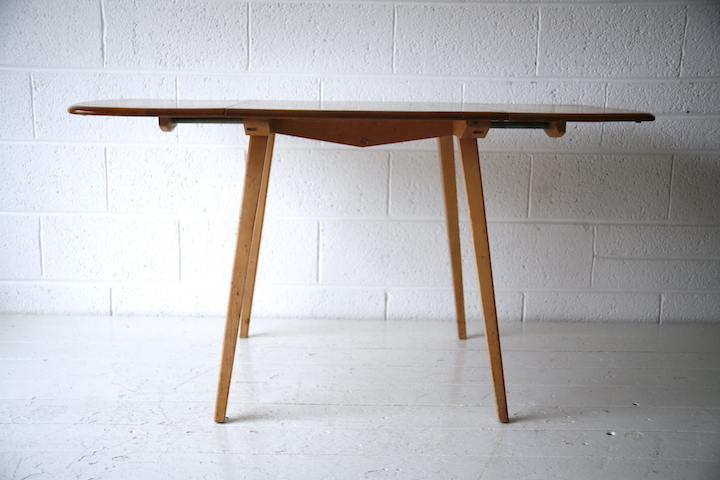 In very good condition with some age related wear and signs of use.